A project to build climate adaptive capacity at the local level by integrating public health considerations into existing community and climate adaptation planning initiatives, the Marquette Area Climate and Health Adaptation Guidebook – Volume I establishes the community’s concerns and priorities related to climate and health as expressed by community stakeholder groups. 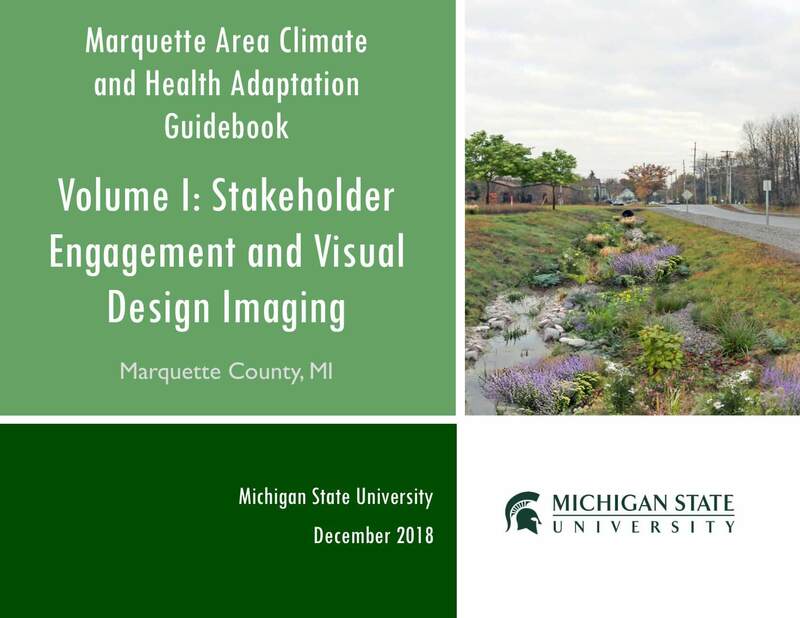 It also details current and potential future images of vulnerable locations in Marquette and surrounding areas to visualize how the built environment could be redesigned to address these climate-related public health concerns. A comprehensive reference guide for community leaders and technical decision makers describing potential policy tools that could stimulate adaptive community planning and the implementation of the built environment. 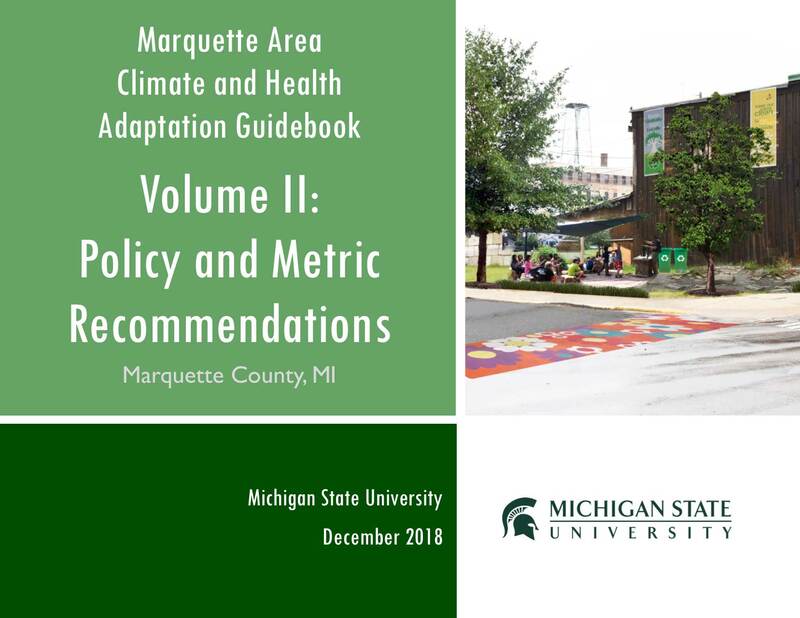 The Marquette Area Climate and Health Adaptation Guidebook – Volume II includes health-related metrics associated with each policy tool for users to track and evaluate their own planning activities. The Marquette Area Climate and Health Adaptation Guidebook is the result of work in coordination with the Michigan Climate and Health Adaptation Program (MICHAP) of the Michigan Department of Health and Human Services (MDHHS) with funding from the Centers for Disease Control and Prevention’s Climate and Health Program. The Guidebooks are the work of Michigan State University (MSU) School of Planning Design, and Construction and MSU Extension and do not necessarily represent the official views of MDHHS.